Standard fastener sets offer an economical solution to connect two profiles at a defined assembly spot. 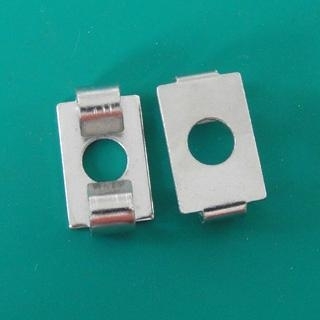 The shape of the fastener prevents the twisting of profiles while fastening and ensures additional connecting strength. Tapping process is required.